Purchasing a home is a challenging, exciting, and intimidating decision that you will make in your lifetime. It is imperative that you surround yourself with knowledgeable and experienced people to help you put yourself in the best position possible. At Polaris Home Funding we promise to guide you through the loan process with no hassle. We have a streamlined process for our loans that will allow us to close your loan in 30 days or less. Customer service is one of our top priorities. We will make you feel at ease throughout the process and your file is always a priority to us. We promise to take a special interest in each of our clients and we understand that every situation is unique. With a combined 20 years of experience and hundreds of loans close, our expertise affords us the ability to anticipate any issues before your loan is submitted which allows for a smoother process from start to finish. Accessibility- We are available when your bank is not. We pride ourselves on being open on weekends and after hours when you are most likely with your realtor searching for your next home. USDA Loan: The #1 selling loan with good reason, 100% financing with reduced PMI. FHA Loan: The loan with flexibility and only 3.5% down. 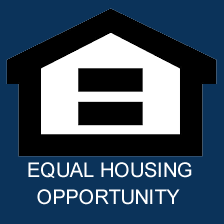 VA Loan: Veterans and military personnel only. This loan is also 100% financing. 30-Year Loan: Get a low mortgage rate that’s fixed for 30 years. 15-Year Loan: Save thousands of dollars in interest by paying off your home early with a 15-year fixed! Jumbo Loan: A jumbo loan is any loan over $417,000. We remain top of the industry in Jumbo loans.